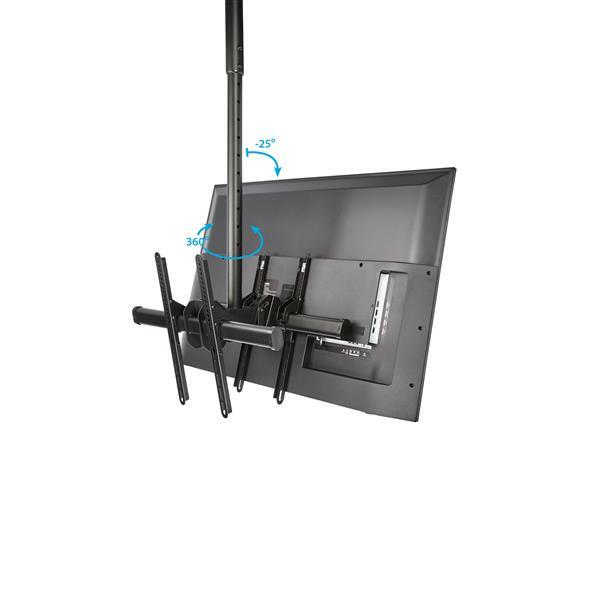 Create impressive and effective digital signage with this ceiling TV mount, suspending two 32" to 75" TVs, back-to-back. Ideal for open spaces in retail, hospitality, restaurants and many other areas, the dual-screen mount provides a versatile way to inform customers, and doubles the audience viewing your content. The dual-screen mount securely holds two flat-screen TVs back to back, in landscape position. 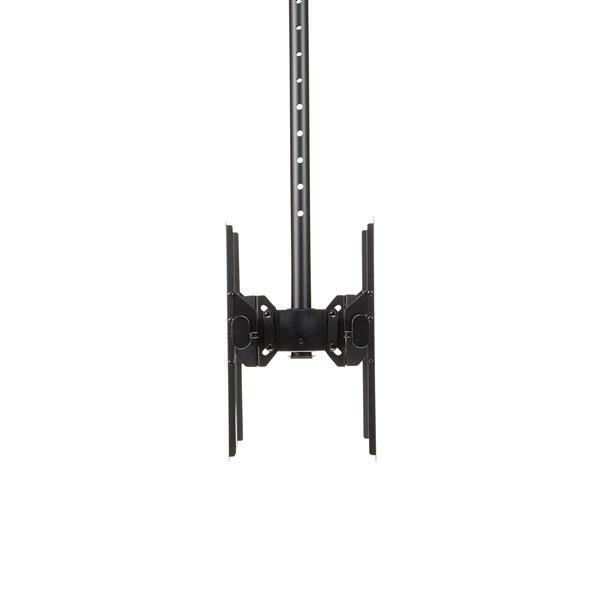 The steel mount supports VESA mount displays up to 600 x 400 mm with a weight capacity of 99 lb. (45 kg) per display. 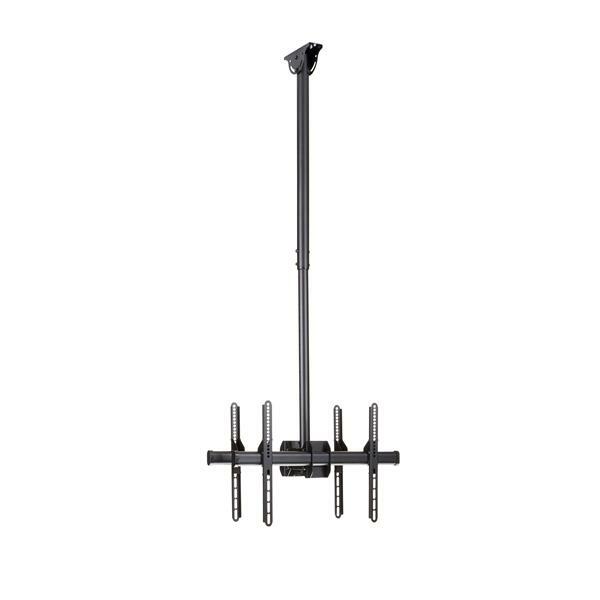 With a telescopic pole, the ceiling TV mount lets you suspend two displays at your desired distance from the ceiling, working with a range of ceiling heights. 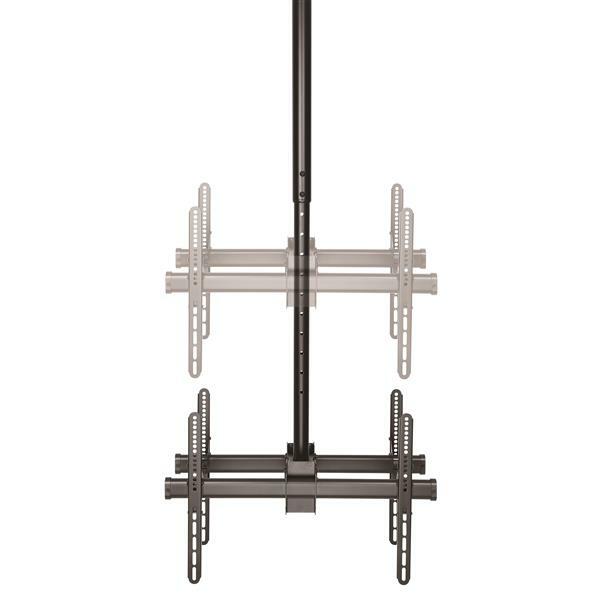 The pole-mount TV bracket can extend from 41.7" to 61.4" (1060 to 1560 mm), with a total lift (height extension) of 19.7" (500 mm). For optimum viewing, the mount lets you swivel the display+180/-180 degrees around the pole. The free-tilting design lets you adjust the tilt angle +5/-20 degrees. 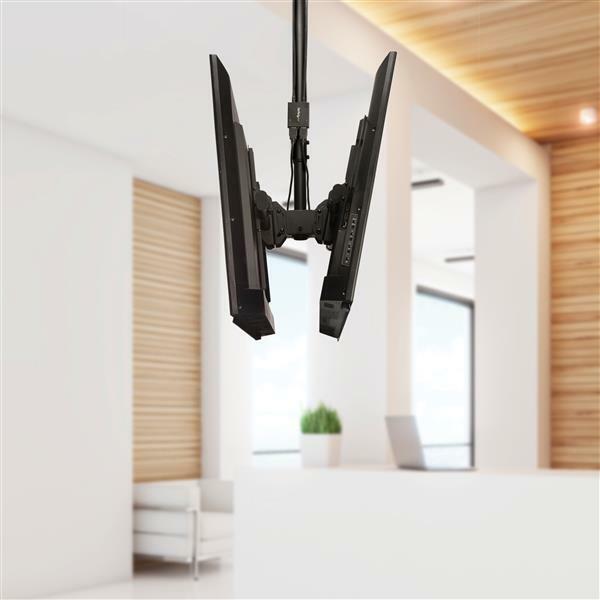 The dual-display mount accommodates a wide variety of ceiling types. 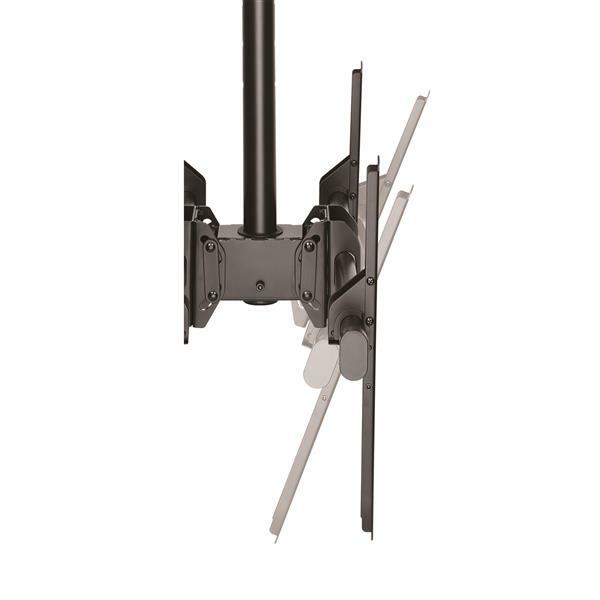 Swivel the ceiling TV mount to work with virtually any type of ceiling for level viewing, including sloped ceilings (up to 60 degrees) or horizontal (flat) ceilings. 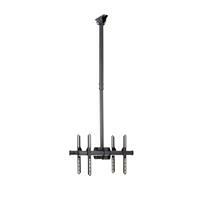 The ceiling mount provides a hook-and-mount design for easy setup. The wire-management channels keep cables concealed. FPCEILBTB is backed by a StarTech.com 5-year warranty and free lifetime technical support.